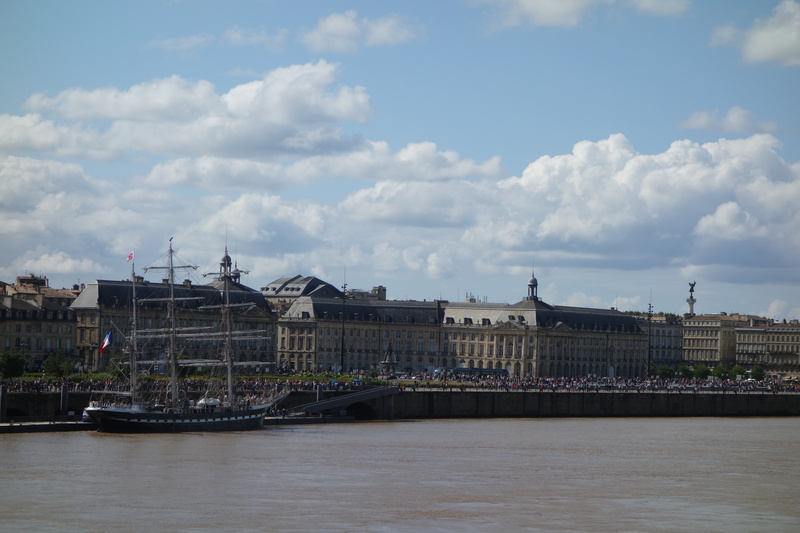 As of today, Sunday, I’ve been in Bordeaux for twelve weeks. Tomorrow I fly to London, where I’ll spend nine days. This morning, I stayed in until I could check-in online and then ventured out for my last major tramp around the city. The entire bordelais population seems to have had the same idea. At the market along the Chartrons quai, I bought my last dinner in Bordeaux: sliced magret de canard and roasted vegetables. I sat down for one last plate of oysters with a little glass of white whine. Then I took the tram back to Place Victoire. Along the way, the pretty 19th-century look of the city charmed me again as it has every day since I’ve come here. I will miss the wine seller in Be the Wine (who has sold me some really excellent whites lately), the two guys who own Books & Coffee, and the very friendly people who work in Bon, C’est Bio on cours Victor Hugo. But I have finished what I came her to do and it’s time to go. I’ve been too immured in my comfortable studio flat. Time to go play with my fairy godchildren in London. A short stop in New Jersey and then off to northern California. But what was I thinking? Getting out of France on September 1, the Grande Rentrée? Clearly, you should not take travel tips from someone who books her own travel on what is reputedly the busiest travel day in the French calendar. P.S. I took the photo above a couple of weeks ago. But it captures how the city looks today.